UPC, provider of home entertainment in Ireland, is adding three channels from Discovery Networks; Discovery Shed, Discovery Turbo and Quest to its TV Packages effective immediately. The three new channels are live on channels 154, 155 and 156, respectively. 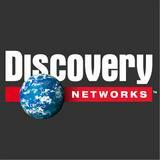 UPC Ireland will now broadcasts all 11 channel brands available from Discovery Networks in the country including Discovery Channel, TLC, ID, Animal Planet, Discovery Science, Discovery History, DMAX and Discovery Home & Health. UPC recently unveiled its new Horizon TV service in Ireland to high demand from customers with 30,000 already subscribed in just two months since launch.